In some cultures, a dimple is a sign of good fortune. A dimple is a defect or gap in the muscles of the face. As a result, a depression or dimple occurs when smiling or animating the face. The dimpleplasty or dimple creation procedure was first described in the 1950s. Since the first description of dimpleplasty, there have been various methods of dimple creation described in the medical literature. The various methods may be categorized into a stitch method and a surgical method. Dr. Achih H. Chen, our dimpleplasty specialist, serving the Evans and Augusta, Georgia and Aiken, South Carolina-area with visitors from Atlanta and beyond can help create the dimple that you desire. The simplest method of dimple creation is the stitch method. In the stitch method, the dimple is created using only a suture. The suture is placed from inside of the mouth and passed so that it catches the back side of the cheek skin so when tied in a loop, a dimple is formed. While the stitch method is a quick and simple procedure to perform, the dimple is only present as long as the stitch is in good position. Shear force across the dimple created by rubbing the skin on the face may disrupt or tear the stitch loose and eliminate the dimple. 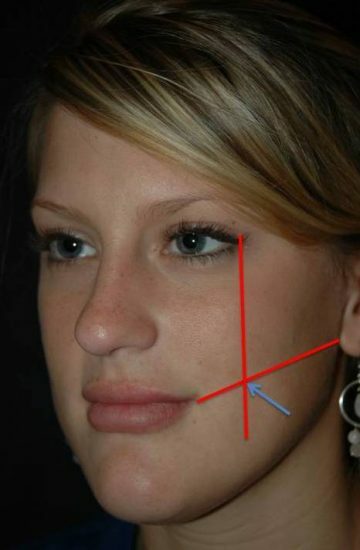 The surgical method of dimpleplasty or dimple creation most closely mimics a naturally occurring dimple. It involves creating a defect in the muscles of the face so the dimple will occur when smiling. This method involves surgically creating a dimple from the inside of the mouth. A defect is created so that the dimple is present when smiling or animating the face once healing has occurred. Dr. Chen is a double board-certified, fellowship-trained facial plastic surgeon who's been chosen for Castle Connolly's Top Doctors® Award, a prestigious honor recognizing the top 1% of physicians in the U.S.